Kimchi? How do you even pronounce that stuff? =) It's like the name Kim and then chee as in cheek. KIM-CHEE. What is it? Well, that's a good question. 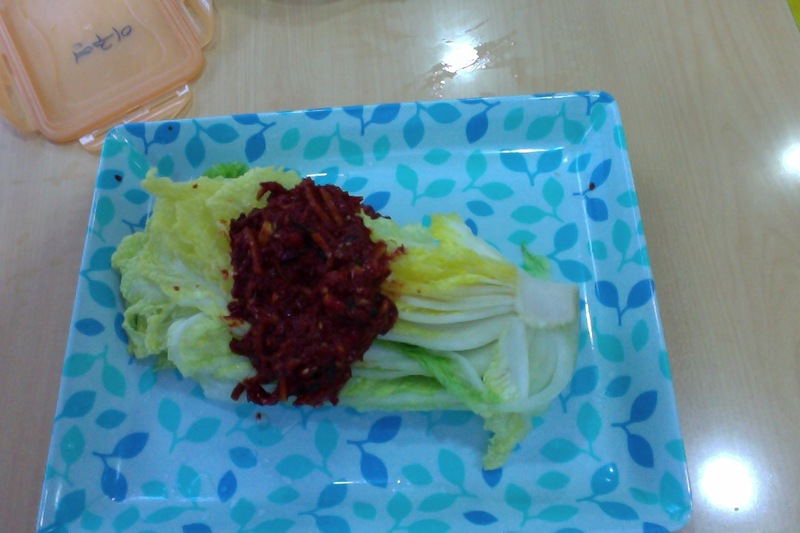 It basically is fermented cabbage with spices. If made correctly it's the bomb.com. 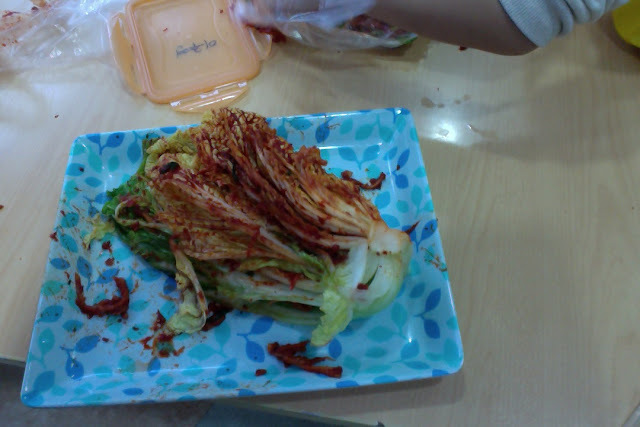 However, there are some forms of kimchi that resemble throw up (I know, TMI). However, It is one of the world's top ten healthiest foods. 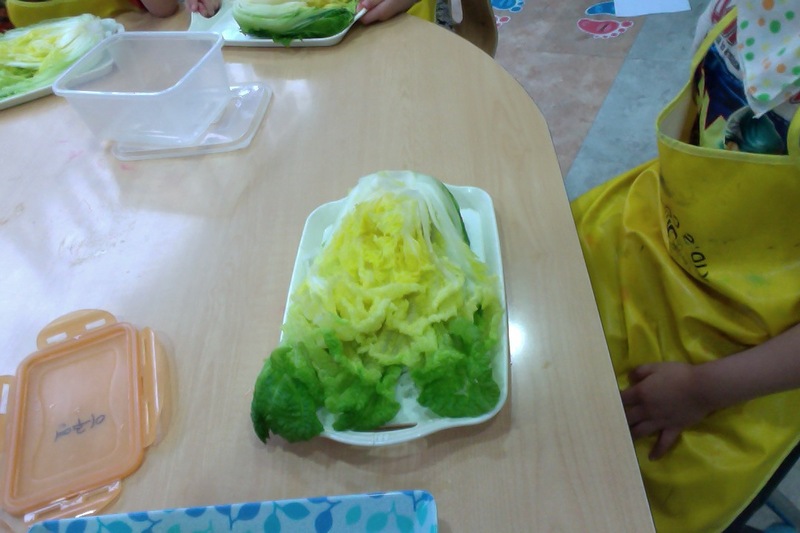 Koreans eat it with every meal along with a bowl of rice. Before you crinkle your nose you should know Koreans are overall much much healthier than we are. 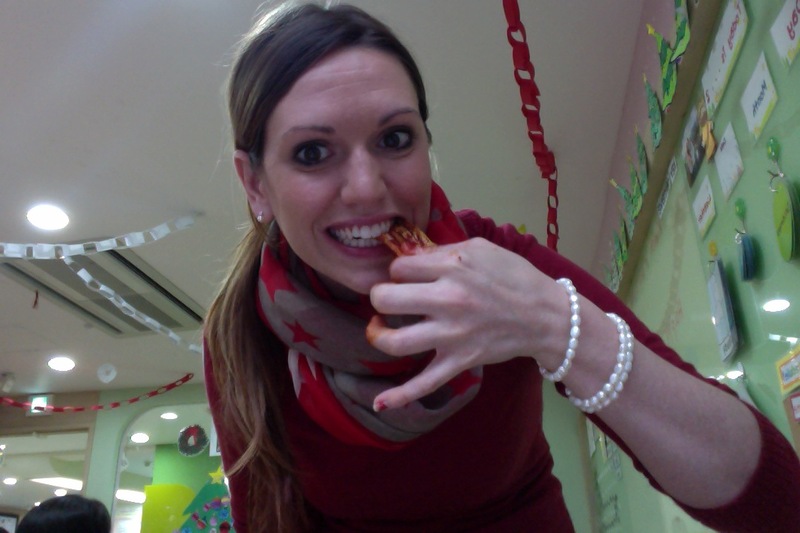 (Kimchi > Big Mac).... just saying. Here is what Health.com reports about kimchi: "Why to try it: Kimchi (or kimchee) is loaded with vitamins A, B, and C, but its biggest benefit may be in its “healthy bacteria” called lactobacilli, found in fermented foods like kimchi and yogurt. This good bacteria helps with digestion, plus it seems to help stop and even prevent yeast infections, according to a recent study. And more good news: Some studies show fermented cabbage has compounds that may prevent the growth of cancer." 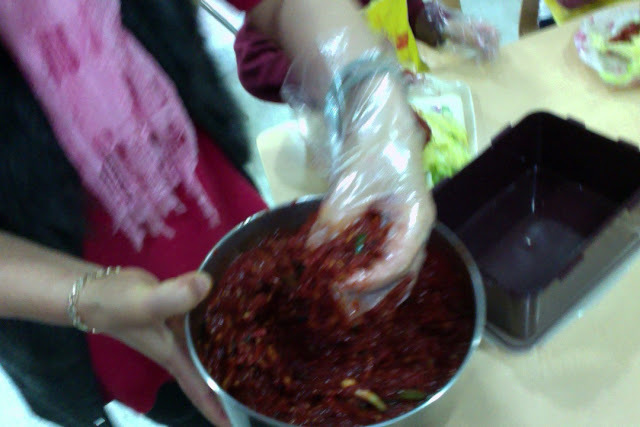 Winter is kimchi making season in Korea. Families often get together for a big family gathering and make kimchi. It's almost like a holiday for them. Sometimes when they get together they make enough kimchi for the year! holy kimchi! That's a lot. Kimchi is quiet a fun process. If you want to learn more on what spices you will need and detailed step by step click here. Step 3: Put in pot to ferment or eat it fresh. Here are some of the pictures of my kids during the process. 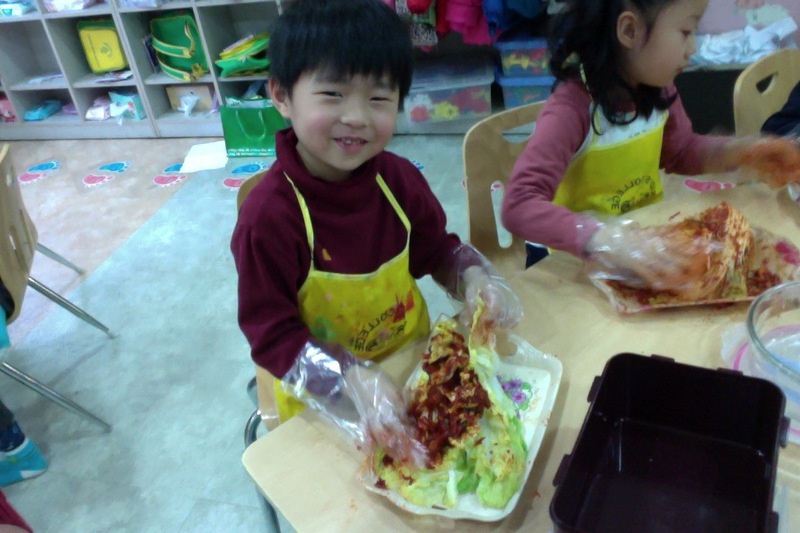 I love Pedro's facial expressions as the kimchi making progresses. He definitely isn't Korean. I thought this kimchi was pretty good. They gave us some to bring home but I don't think we did. Kimchi has a way of permeating your whole house with it's smell. 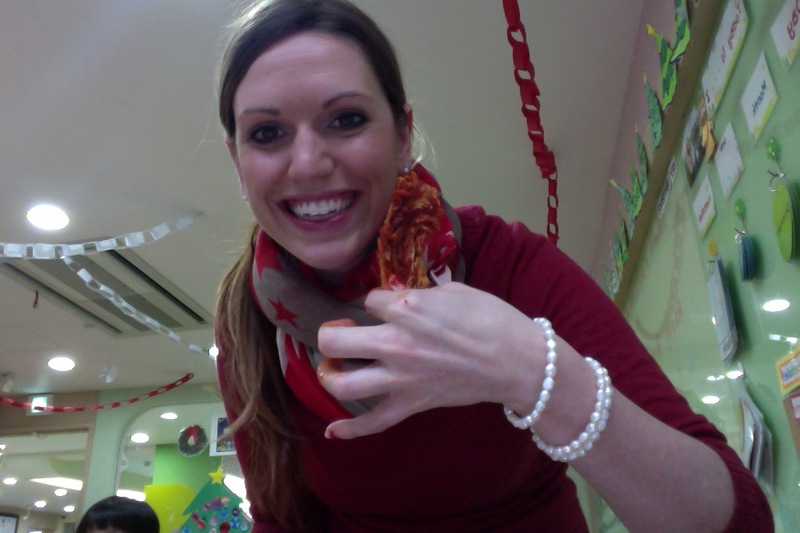 However, it was fun to make kimchi with the little kindys. 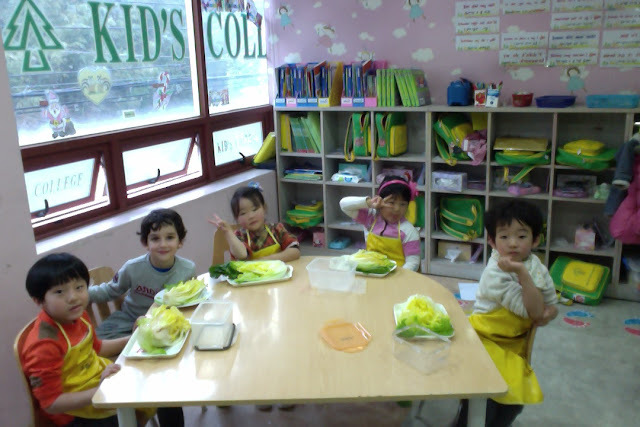 I loved seeing how much they enjoyed their kimchi. So - would you try kimchi? Have you ever heard of it?